Huddie Ledbetter (23 January 1888 December 1949) was a leading American blues singer and guitarist. His songbook contained a large number of standard folk tunes, most adapted from previous sources. 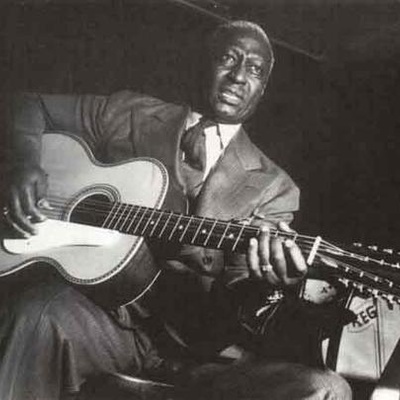 Though many releases list him as "Leadbelly," he himself spelled it "Lead Belly." This is also the usage on his tombstone, as well as of the Lead Belly Foundation. Lead Belly was born in Mooringsport, Louisiana, and spent time in and out of prison most of his life.